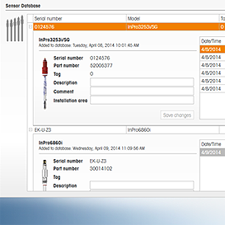 iSense is METTLER TOLEDO's software for its Intelligent Sensor Management (ISM®) technology. ISM is a digital platform for analytical sensors that increases process reliability, simplifies senor handling, and reduces maintenance. 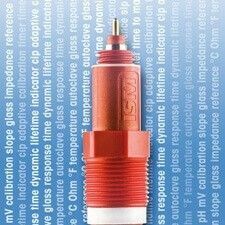 At its core, ISM features a series of algorithms that continuously monitor a sensor's "health" and provide diagnostic tools that predict when maintenance will be required. 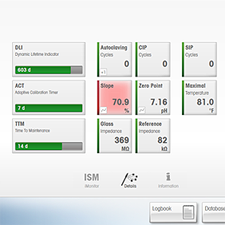 ISM features the world’s first learning sensors for process analytics. Advanced algorithms allow sensors to learn process conditions within one day. This ability accelerates the rate at which accurate diagnostics are provided, and enhances the consistency of sensor lifetime information. iSense is simple and intuitive. Its use of traffic light color coding, trend graphs and indicators require no prior knowledge for interpretation. Guided animations ensure each calibration and every maintenance procedure is performed reproducibly and without mistakes or missed steps. Environment-friendly and proper e-documentation are key concerns to many enterprises today. The all-digital database and protocols of iSense allow simple organization and easy locating and sharing of all information collected during a sensor's lifetime. For the pharmaceutical industry, a version of iSense is available that is compliant with 21 CFR Part 11, which enhances the security of eDocumentation. 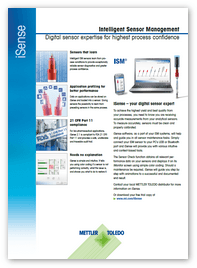 With iSense you can check sensor status or conduct calibration or maintenance wherever it's convenient. Simply connect an ISM sensor to iSense or iSense mobile via Bluetooth or iLink cable. Now you can maintain sensors at your computer or mobile device. 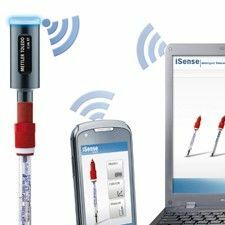 With iSense mobile you can email sensor diagnostics information with a push of a button. iSense mobile is available for both iOS and Android operating systems.